Every time Ras Hylton steps into the New England Fights cage, the popular showman based out of South Portland, Maine, is somehow growing the sport of mixed-martial-arts (MMA). 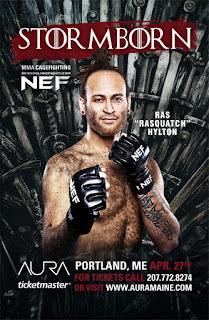 Between the dreadlocks atop his 6-foot-6-plus frame and his all-out, all-the-time style, Hylton, known affectionately to the fans as “Rasquatch” and “The Jamaican Shamrock,” has a knack for drawing and pleasing the crowd. And even when he's behind the scenes, both due to his own professional interests and an affection for combat sports, Hylton hopes to build a different type of congregation. He has been a driving force in trying to introduce and build the relatively new cruiserweight division in the northeast. 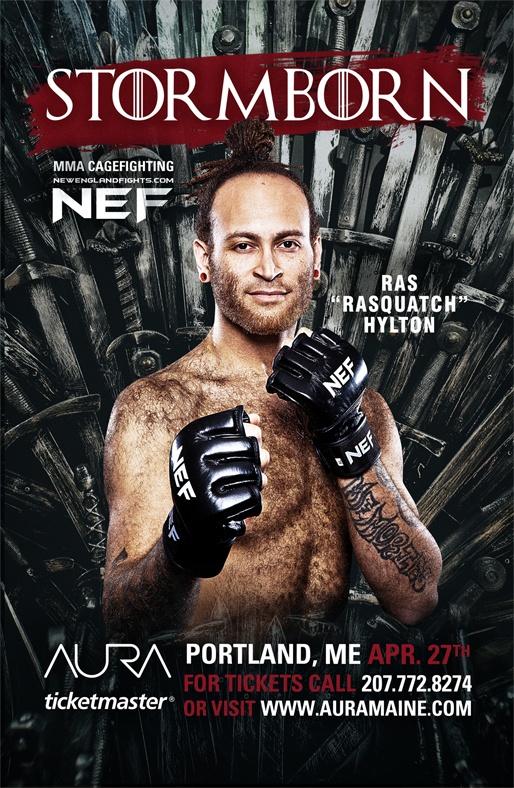 Hylton, 31, will flaunt the merits of the 225-pound pack when he confronts Charles Penn Jr. at “NEF 38: Stormborn.” The organization's spring showcase is set for a 7 p.m. bell time on Saturday, April 27 at Aura in Portland, Maine. Just as the netherworld between the light heavyweight (205) and heavyweight (265) is uncharted territory, Hylton acknowledges that his upcoming assignment is shrouded in mystery. Penn, who fought out of Nebraska from 2011 to 2013, lost two of his three amateur verdicts. Hylton breezed through that portion of his NEF career after debuting in 2016, winning three times by knockout in five minutes or less. Upon turning pro Hylton continued to dominate, dispatching Mike Hansen and Eric Ramsey, each in the first round. That meteoric ascent didn't leave many local opponents at his in-between weight clamoring for a fight, so Hylton hit the road for a pair of dates in the spring and summer of 2018. He split those bouts before returning to his roots, and a TKO loss to Yorgan De Castro, at NEF 36. Hylton has approached the recent speed bumps with humility, viewing them as learning experiences in his quest to reach the pinnacle of the sport. Trying to find a home while hovering between the upper weight divisions of the sport has left many prospects treading water. 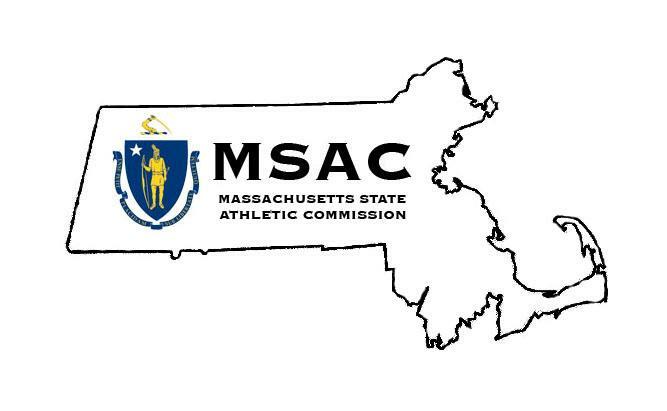 With that in mind, the Association of Boxing Commissions added cruiserweight, super lightweight, super welterweight and super middleweight thresholds in 2017 after approving a strawweight class two years earlier. International MMA sanctioning bodies, perhaps aware of the manner in which adding titles stretched boxing's landscape thin over the past half-century, have been slow to adopt the new divisions. As a regional leader in the developmental system, NEF has supported the cruiserweight distinction. Hylton hasn't shied away from putting himself front-and-center in the debate. He recently posted a video to social media, hashtagged “cruiserweight dreams,” that showed him weighing in at 226 pounds flat and fully clothed after a brisk workout at First Class MMA. Hylton checked in at a ready 222.8 pounds for the showdown with De Castro. For anyone tipping the scales above 200, training is as tough as stepping into the white-hot spotlight if you're affiliated with the Topsham-based First Class stable. On any given night, Hylton finds himself slugging it out or down on the mat with the likes of Bryce Bamford and Nick Gulliver. Those two heavy hitters, both out of Jay, are a combined 7-1 as amateurs and also find themselves teetering between the traditional light heavyweight and heavyweight limits. Despite the shortage of options, Hylton is determined to do whatever necessary to ensure quarterly fights and expand his horizons in the coming year.